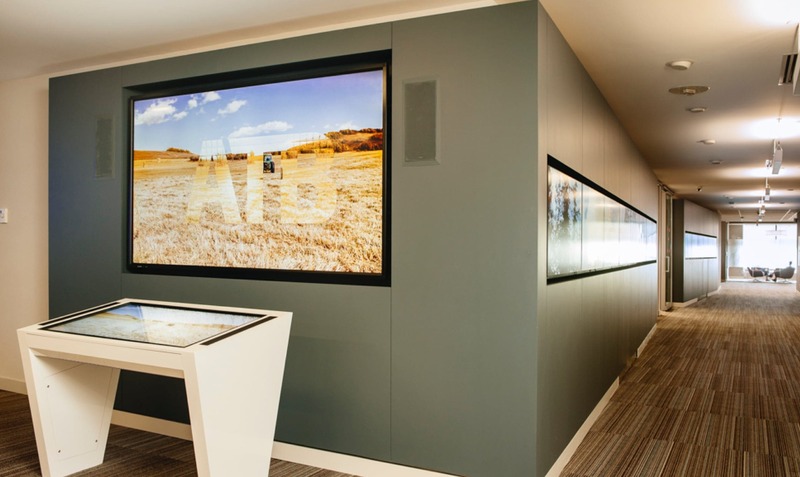 Shaping an immersive experience for a national bank headquarter. 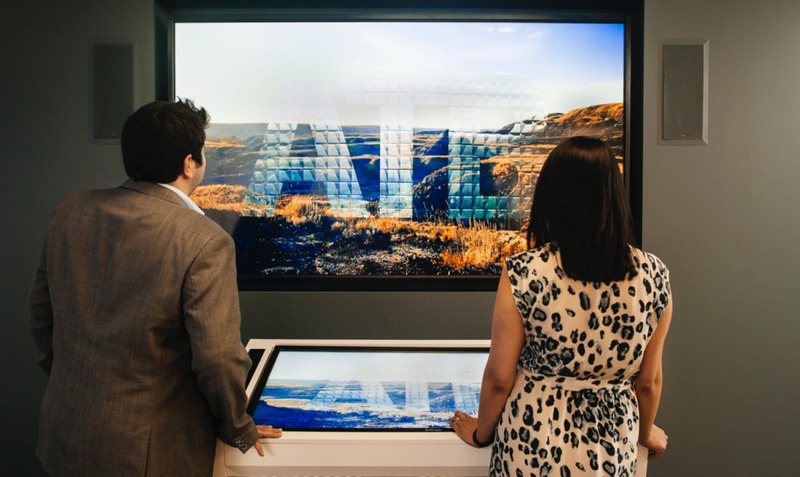 Edmonton-based ATB Financial commissioned Moment Factory to create a permanent immersive interactive experience for the firm’s new office. 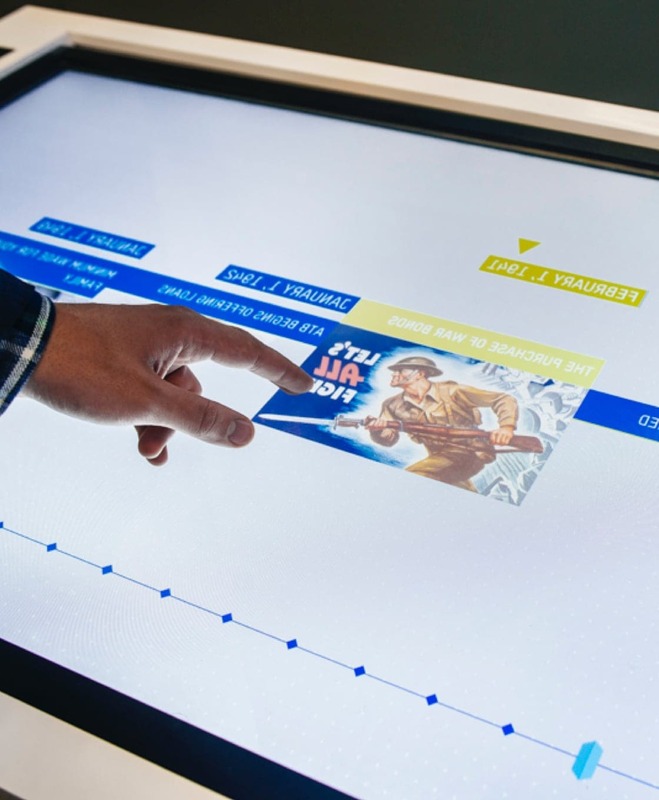 In result, we developed smart interactive interfaces and objects by mixing touchscreen technology with motion sensor technology, allowing direct interaction between employees and visitors, are seamlessly integrated into the design of the space. 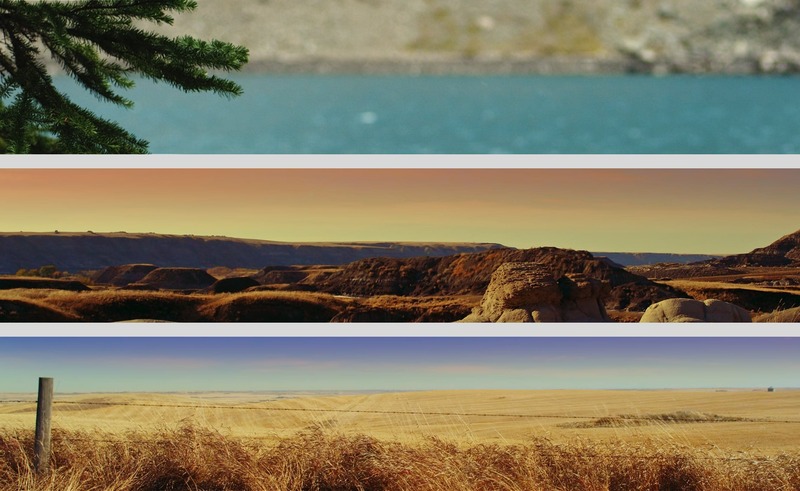 The visual content is playful yet subtle, creating a cutting-edge professional environment. 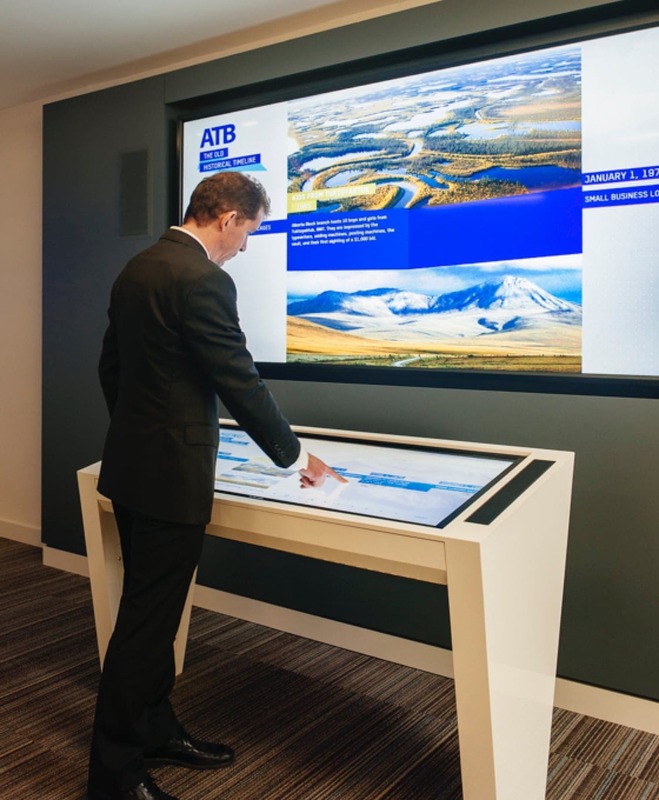 The system was designed to allow ATB to enhance and update the system in-house by entering new information about its activities. Thanks to that independence, the client will be able to keep its new system current for the long term. 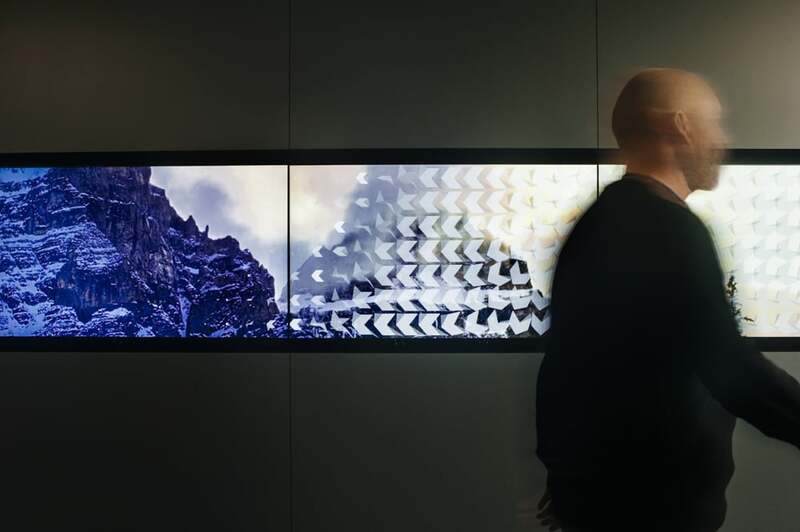 The multimedia environment was designed in collaboration with the architects responsible for the company’s overall office design.